Gan Bian Si Ji Dou—Sichuan-style dry-fried green beans with chilies and pickles—are one of the best and most mistranslated vegetable dishes in the world. 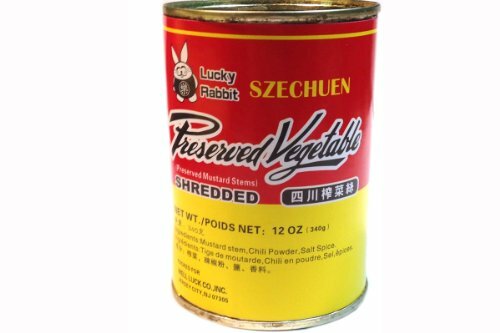 The real version should be bright and light, featuring beans with blistered skins and snappy interiors, and tossed with chili-flavored oil, Sichuan peppercorns, scallions, garlic, ginger, and chopped preserved mustard root. It's a pretty far cry from the oily, drab, pork-smothered versions you find in Chinese take-out joints. Today gan bian si ii and I are on a road trip back to authenticity, and we're going to be driving that minibus over some uncharted territory. Broiling the green beans instead of deep-frying them gives them the blistered, lightly charred surfaces, without the need for cups of oil and a hot wok. Cooking the sauce slowly in a saucepan develops better flavor than the standard high-heat method. Note: Sichuan peppercorns can be found in most Asian markets or spice markets or ordered online. Discard any dark black seeds or stems before using (use the reddish brown husks only). Preserved mustard stems can be found at a well-stocked Asian grocer either in a fresh refrigerated bulk bin or in cans, or it can be ordered whole or shredded online. If you can't find them, a mixture of 2 1/2 tablespoons minced mild kimchi and 1/2 a tablespoon of minced capers will work in its place. Crush half of Sichuan peppercorns in a mortar and pestle into a rough powder. In a medium skillet, heat 2 tablespoons oil, remaining whole Sichuan peppercorns, and dried chilies over medium-low heat, stirring frequently, until sizzling and aromatic, about 2 minutes. Add garlic, ginger, scallions, and mustard root and cook, stirring, until aromatic, about 1 minute. Remove from heat and set aside. Adjust rack to as close as possible to broiler and preheat broiler to high. In a large bowl, toss green beans with 1 tablespoon oil and season with salt and white pepper. Arrange in a single layer on a foil-lined rimmed baking sheet or broiler pan. Broil until beans are blistered and very lightly charred, 2 to 5 minutes depending on strength of broiler. Return beans to bowl. Using a rubber spatula, transfer Sichuan peppercorn mixture to bowl with beans. Add sugar and remaining crushed peppercorns. Toss to coat the beans thoroughly in the mixture and season to taste with more salt and white pepper if desired. Serve immediately.